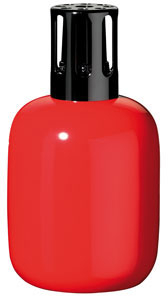 The Generous Red Lampe Berger lamp is a pleasant lamp with minimalist appeal in a nice HIGH GLOSS red color. It is supplied in a gift box with a basic burner, funnel and instructions. Note: This lamp has been retired by Lampe Berger, but we still have a few of these lamps left in stock.